Conrad Murray’s voice softens when he recalls the moment Michael Jackson reached out, clasped his hand and said in his soft falsetto voice: ‘There are only four people in my family now. Paris, Prince, Blanket and you, Dr Conrad.’ It was, the 60-year-old doctor recalls: ‘one of the happiest days of my life. This man who had been so lonely, who had spent so many long nights telling me about his pain and anguish, finally felt he could trust someone in his life apart from his children. ‘We were family’. We loved each other as brothers.’ Unrepentant: Dr Conrad Murray speaks during his first interview after serving half of his four-and-a-half-year jailterm following his conviction of killing Michael Jackson The remarkable exchange took place in Jackson’s private suite of five rooms on the second floor of his rented £60,000-a-month Beverly Hills mansion. It was an area closed to all except the singer’s three children and Dr Murray – his personal physician and private confidante. Murray says: ‘Michael trusted no one. The bed chamber smelled because he did not even let maids in there to clean. There were clothes strewn everywhere. ‘Then he looked at me and said, “You know, for the rest of your life and my life our names will become inseparable.” ‘I asked him, “Michael, what do you mean?” and he smiled and said, “I am clairvoyant.” ’ Maybe he was. This brief but intense relationship has all but destroyed Murray’s life and almost certainly defines it. The heart surgeon, released from prison three weeks ago after serving half of a four-year sentence for killing pop superstar Jackson with an overdose of intravenous sedative, maintains he was not responsible for Jackson’s tragic death. And, in his first-ever interview, he remains unrepentant. ‘I never gave Michael anything that would kill him,’ he says tersely. ‘I loved him. I still do. I always will.’ At a bulky 6ft 5in, Murray is a bear of a man, though he claims to have lost more than two stone in prison and says he feels ‘every one of my 60 years’. Despite his public disgrace, he has huge charm and the self-assured authority – some might say bombast – of a physician whose lucrative private practice turned over more than £2.3 million a year. Jackson’s prediction to the doctor was, indeed, prophetic. ‘I found out the kids were at the hospital, they were in a room having pizza. ‘I called for a team of psychiatrists. We spoke briefly about whether, if the children wanted it, it would be OK for them to see their father? I walked into the room. Paris looked at me and said, “Daddy’s dead?” I said, “Yes.” ‘The children wailed. Paris cried, “I don’t want to be an orphan! I don’t want to be an orphan!” Mrs Jackson was there, La Toya was there, Jermaine was there, but I thought they acted cold. ‘I was so worried about those children, they had no relationship with their mother. I didn’t know what to do. But Paris is a remarkable child. I have never seen such mettle in a child that age. ‘On the day he died, she sought me out in the corridor. I felt as if Michael was talking through her. She said, “My daddy died today. I know you did everything you could. If he didn’t survive I know it’s not because you didn’t do everything you could.” ‘It breaks my heart that those children are now without the one person who loved them more than anything. ‘I loved those children. I would love to sit down with them and tell them how much I cared for their father but I worry that their minds have been poisoned against me.’ For more than five hours, in a voice still thick with the lilting tones of his native Trinidad, in a faceless hotel room in southern California he tells about Michael’s perilous physical, mental and financial state and the singer’s secret addiction to prescription drugs. 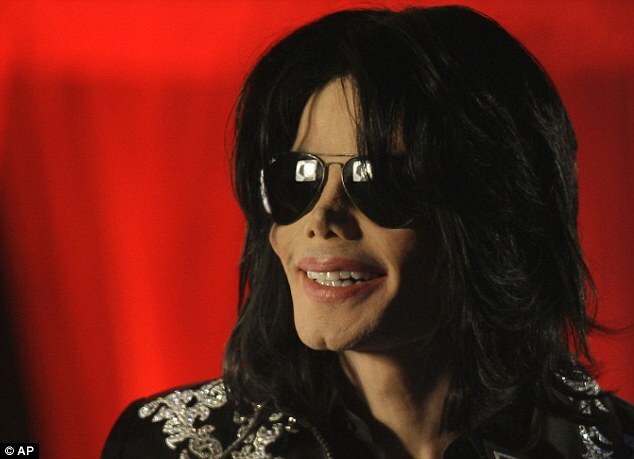 This entry was tagged DailyMail, Jackson, Michael, Michael Jackson, Murray, Paris, The Mail on Sunday, Trial of Conrad Murray. Bookmark the permalink.